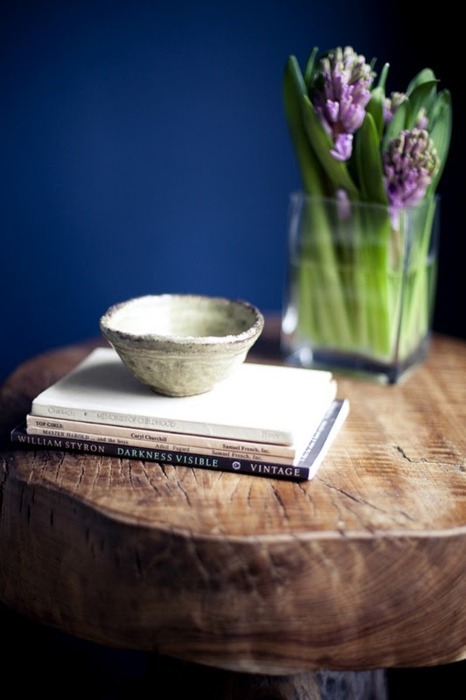 Photo via French by Design. – From Even That Indigo by John Smith. “Feeling blue” no longer has to mean that unpleasant sensation when all the other colors seem to have disappeared. 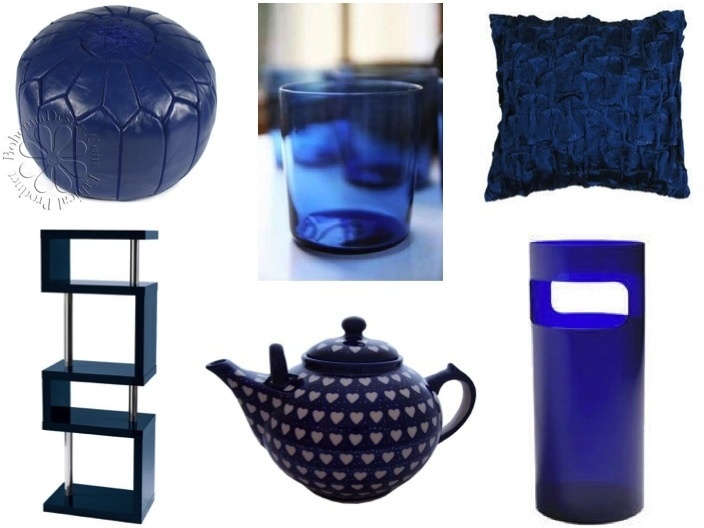 We’ve definitely got the blues, but it’s the good kind – that deep, rich, vibrant blue known as indigo has indeed uplifted and inspired us to redecorate! Design by William Hefner Architecture Interiors. Photo via Houzz. A gorgeous set of indigo dining chairs as shown above gives a stunning pop of color in an otherwise neutral-toned dining set. These deep blue walls, built-in shelving and matching window seat is sure to inspire a sense of midnight-sky nostalgia. The wonderful peach-colored modern chairs soften the dark hues to create a dream-like ambiance. Photo via Les Indiennes Shop. 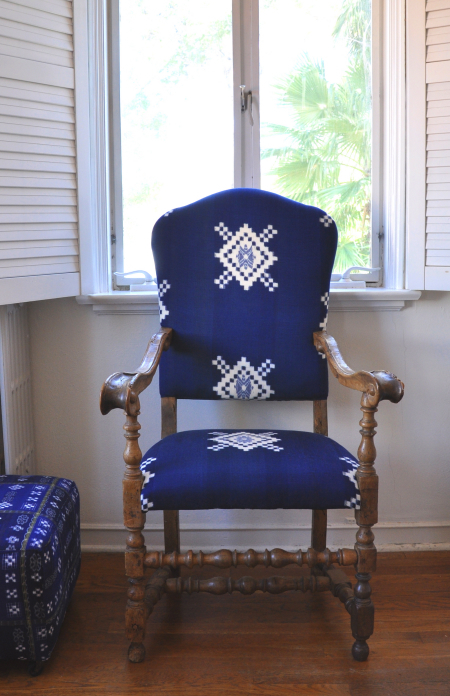 This wonderfully unique, handcrafted traditional chair stands out with its gorgeous ethnic pattern on an indigo background. The wooden frame provides a beautiful contrast. On a decor budget but still want in on this indigo trend? 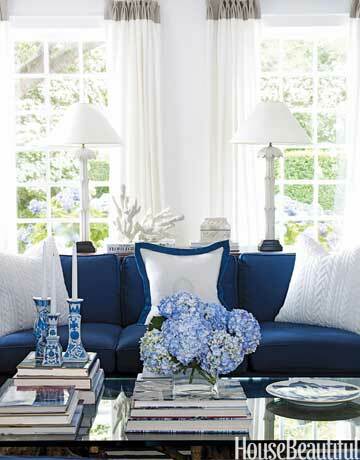 No worries, a few key items in this brilliant color can be enough to transform a whole room. This lovely collection curated by the English shop Furnish offers just a handful of examples where small decorative accessories in this color can be just as effective and charming. Photo via Sharon Style Portfolio. We admit, we just can’t seem to get enough of this color. And although it’s the color of the moment, we know that this color will be around for awhile – it’s as timeless as the sky.